It’s been a busy few weeks for our BTEC students who started in September. This academic year saw our new students join the Stanley course alongside familiar faces that we have welcomed back. The students started their Stanley journey with a photoshoot at the Wham Stadium where they had their headshots taken on the pitch. After the initial introductions, it was straight into the course and they haven’t looked back since. The new intake have been starting to learn about the important aspects behind the scenes of all sporting programmes such as diet, personal fitness and anatomy and physiology. Meanwhile on the practical side of the course, they have been in training three days a week with our coaches as well improving their skills they have been learning how to play as a team. 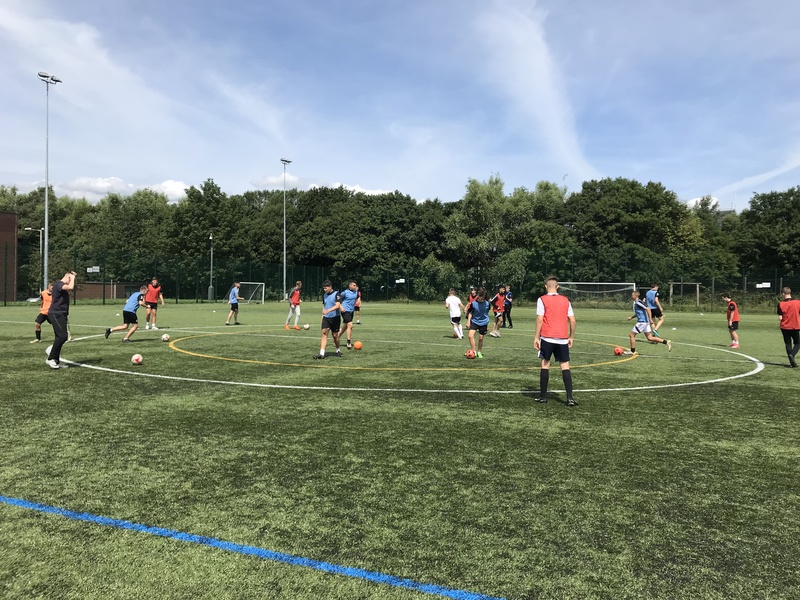 They get to put their skills into action as part of the EFL Community & Education Football Alliance League which has seen them so far play Blackpool, Carlisle and Manchester City at the Etihad training campus. If you have a passion for sport and are looking at where to go next after you have finished school, why not get in touch and see if we have the answer! For more information, please visit www.stanleytrust.co.uk/BTEC or call us on 01254 304071. Alternatively we have an open evening on the 6th December at the Wham Stadium from 6pm til 7pm, where you can come and meet the tutors and coaches.